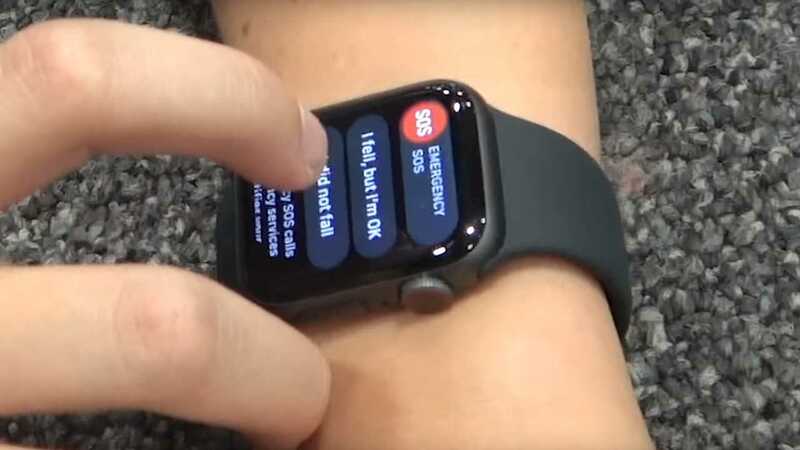 If you’re a fan of Apple products and have the Series 4 Apple watch, it may interest you to know about its fall detection feature. What’s that, you say? You are young and fit and not prone to randomly falling down in your house, so you have not enabled that feature? Well, think again, young rider; you might want to enable it, because this feature might help you in a motorcycle accident. That’s right, your fancy smart watch could save your life. Consider that when any of us throws a leg over our motorcycle, we do not plan to have a crash. We never say to ourselves, “today is the day I’m going to go hit a minivan!” Nope, we all figure we’re going to get to our destination and get on with our day. Many of us know that sometimes that plan goes awry. That’s why many of us wear all our protective motorcycle gear on every ride. These days, because the smart devices we wear or have on our persons often have accelerometers in them, they can tell when we’ve had an “unplanned getoff,” if you will. The way our bodies move (and stop moving) in a fall is apparently unique to anything else we do. These watches have been programmed to detect that movement and go into an alert mode. The phone will ask you if you’ve had a fall, and if so, if you’d like it to alert the authorities. You can decline the assistance, tell the watch it’s mistaken and that you didn’t have a fall, or say “yes, OK, call an ambulance for me.” If the watch detects a severe impact and you do not reply to its prompts, it will assume you are unconscious and call for medical help. The alert in these watches is based on impact. If you are into things like martial arts, you may want to take the watch off for those activities so it’s not calling the ambulance to your dojo every week. Otherwise, all the riders out there with Apple watches might want to turn this particular function on, at least for the duration of your riding season, and especially if you ride alone. It could get help to you quickly in the event of a crash. Android watches have several accelerometer-based fall detection apps available as well, in case you’re an Android fan.